Ross Pangilinan has parted ways with Leatherby’s Cafe Rouge. He had helmed the Costa Mesa restaurant’s kitchen as executive chef since 2010 and has left to open his own chef-driven concept in downtown Santa Ana, tentatively called Mix Mix. Pangilinan’s position has been filled by Greg Stillman, whose culinary credits include working with famed chef Thomas Keller in addition to stints at the popular Downtown Disney restaurant Catal. Leatherby's Cafe Rouge, Renee and Henry Segerstrom Concert Hall, 615 Town Center Dr., Costa Mesa, CA 92626, 714-429-7640. Local celebrity chef Chris Tzorin has parted ways with Brea’s Tempo Urban Kitchen. Tzorin, who has added numerous appearances on various Food Network programs to his resume in recent years, has moved on to helm the kitchen at Cafe Tu Tu Tango, the contemporary tapas venue located within The Outlets at Orange. A replacement chef for Tempo has not been announced. Tempo Urban Kitchen, 1060 Imperial Hwy., Brea, CA 92821, 714-529-2900. Marc Johnson has moved on from his post as executive chef at Newport Beach’s Oak Grill at the Island Hotel. He has not moved far, as he has taken the reins as corporate chef for Red O, Rick Bayless’ regional Mexican eatery located in Fashion Island. Johnson departs Oak Grill after opening the eatery in 2014. Oak Grill, Island Hotel Newport Beach, 690 Newport Center Dr., Newport Beach, CA 92660, 949-760-4920. Chef Jason Montelibano has parted ways with EATS Kitchen + Bar, the flagship eatery at Hotel Irvine. Montelibano will be plying his craft back at Chapter One: The Modern Local in Downtown Santa Ana, where he previously served as executive chef prior to moving to the Irvine-based venue. 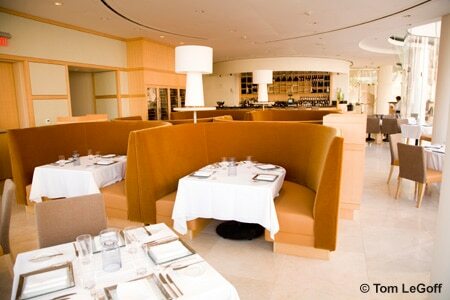 EATS Kitchen + Bar, Hotel Irvine, 17900 Jamboree Rd., Irvine, CA 92614, 949-230-4452. Manhattan Steak & Seafood, the sleek steakhouse and lounge in Orange, has closed its doors after serving up classic steakhouse and continental cuisine for seven years. No reason was given for the shuttering. No replacement venue has been announced. Manhattan Steak & Seafood, 202 S. Main St., Orange, CA 92868, no phone. Jason’s by the Circle, owner/chef Jason Kordas’ eclectic global culinary concept just east of Old Town Orange, has closed its doors. No reason for the shuttering was given. A replacement venue for the now-abdicated space has not been announced. Jason's by the Circle, 513 E. Chapman Ave., Orange, CA 92866, 714-347-1130.